God Bless Country Music – Calling all Country music fans, this one is for you! As country music related gifts go, this is a winner! 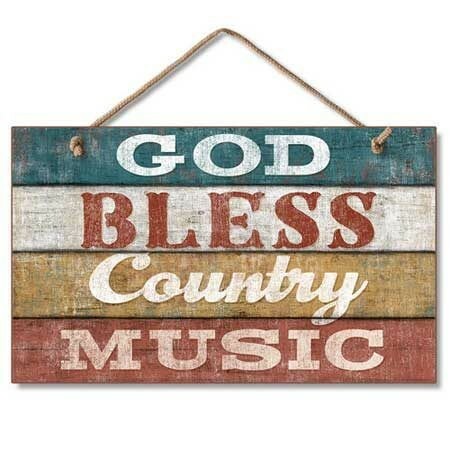 Printed on high quality wood, the country themed sign features faux-distressed wooden panels with the phrase “God Bless Country Music”, an expression every Country music enthusiast can agree with. Bring some fun to a room and take your musical passion to the next level with awesome gift! Comes with knotted robe attached for easy hanging. Approx. 9″ x 6″.